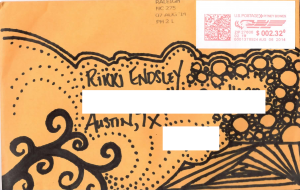 Look how she jazzed up the little manila envelope. That lady has style, and her fun little gesture brightened an otherwise blah Wednesday. 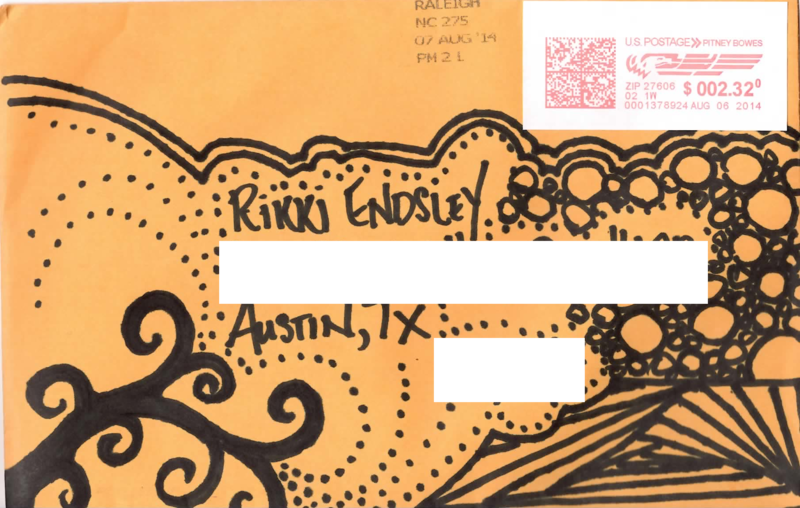 I’m adding her to my postcard mailing list.